and have decided I need an office! Currently, my office is also the laundry room, and Chris’ office, and the walk-thru between the kitchen and the deck, and the room we store crap in. I need a place. A space. A spot. But I cannot afford to renovate my house, obviously. 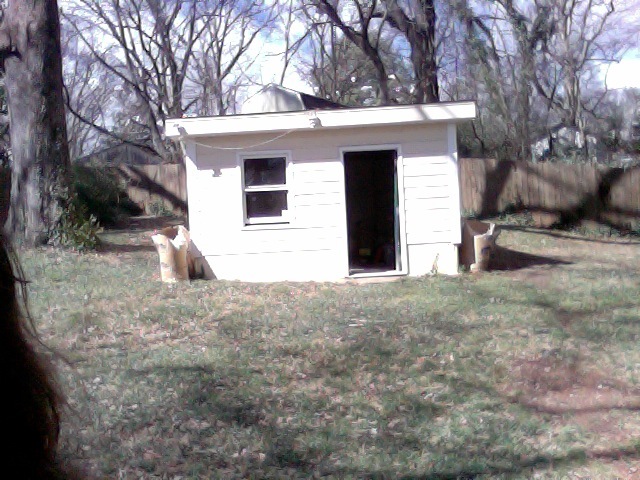 So… I want to turn my no-electricity-having, moldy, trashed, hole-in-the-roof shed into a WRITING COTTAGE! Dahl’s “hut” (see above) was by all accounts a not-so-charming place, a drippy space, a junky place. But it was his. HIS. But what will it look like when I’m done? How little can I spend? Will I demo the moldy drywall? Will I DIG THE TRENCH FOR THE POWER LINES MYSELF? I doubt it will ever look like this! But that’s okay. I just need a place to hang my bulletin board and store my filing cabinets, and make a cup of tea. I am accepting any and all advice on how to do this well, and cheaply. I am curious to hear what people think it will cost. And guess what my cottage will NOT have? That’s right! INTERNETS! This entry was posted on Friday, February 25th, 2011 at 10:12 am	and is filed under Blog. You can follow any responses to this entry through the RSS 2.0 feed. You can leave a response, or trackback from your own site. I know absolutely nothing about DIY stuff, and only recently learned how to sew on a button. HOWEVER, I think this is very cool idea, and can’t wait to see/hear how it turns out. Good luck! I SO envision you with a nookish writing cottage!!! maybe I could make a trip down to help you build (read: bumble) it. how do you like the dahl bio? he’s been on my mind of late as well… xoxo. by the way– holy COW, but that linked writing cottage is amazing. as you know I’ve long cherished a fantasy of a tiny house or a writing treehouse myself. small spaces for creative seclusion are perfectly dreamy and also on my mind of late. Good luck! I wish I could help but I’ve never taken on a big DIY project like that myself. However, I have every faith you will succeed and your little hut will look even BETTER than that picture! 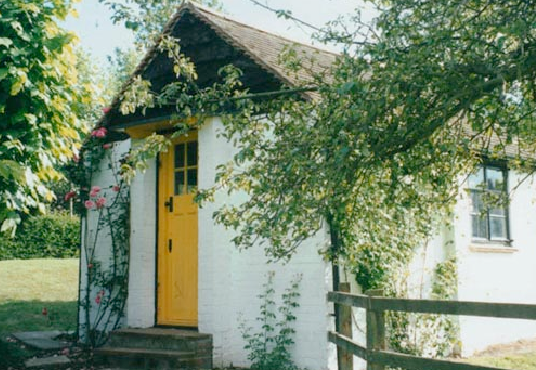 We’ve been inspired, too, by photos of Dahl and his caravan and cottage. It won’t happen anytime soon, but it certainly would be wonderful if we had a writing sanctuary. Interestingly, @Meredith, I first “met” Dahl as a writer through wine. In the 1980s, when I was studying everything enological that I could get my hands on in order to become a wine writer, I would read these incredible debates in the Letters to the Editor section of Decanter between Dahl and the leading British wine writers. They would go on for thousands of words each month. I didn’t know anything about his books then, just that he’d knew Bordeaux better than most professionals. So he’d approve of a wine nook in the cottage. In fact, I’m certain he suggest it was every bit as important as a roof.